A perennial favourite. Yarra Yering has produced some of Australia great wines. Such sophisticated wines of great purity and personality! 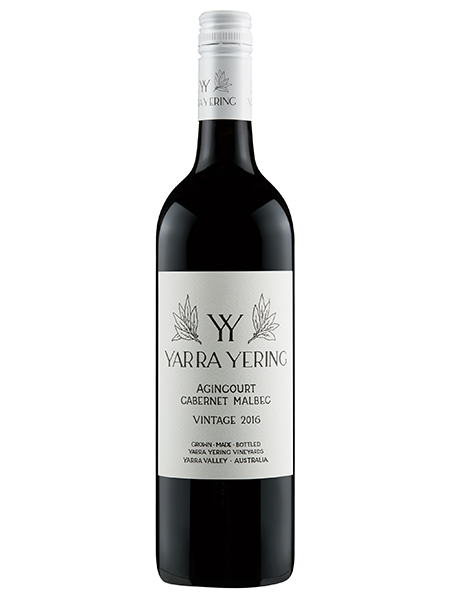 The much anticipated Yarra Yering release is here! Having worked at Yarra Yering with Doc, over 4 years, and devoured pretty much every wine made at YY, I’ve got a soft spot for the place. We’re offering the wines that made Yarra Yering’s name + the new comer Agincourt (heading towards its 20th year). The Dry Red No. 1 Cabernet Blend, Dry Red No.2 Shiraz Blend, Underhill Shiraz & Agincourt Cabernet Malbec. Wines will be available for delivery in February. We have access to the Carrodus range too. If you’re interested in these call us on 1300 811 066. #66 in James Sucklings 2018 Top 100 in a list that includes the 2015's from Auson, Vieux Château Certan, Pavie, Trotanoy and more! The original Shiraz Viognier blend .. with an edge of Marsanne & Mataro! The No.2 is Seduction in a bottle. It’s not your average Shiraz Viognier, beyond the Marsanne and Mataro it’s got a few secret ingredients in it that add that extra bit of intrigue! The incredibly supple texture is matched by lucious fruit, spice and perfume that is, simply stated, intoxicating. Vines: Original 1969 plantings of Shiraz and Marsanne with additional Shiraz, Mataro & Viognier drawn from vines planted from 1984 to 1995. Making: Fruit was hand-picked, bunch sorted and destemmed directly to the Yarra Yering half-tonne open-fermenters. As much whole berry as possible is retained to encourage perfume. Some stalks were added back to some of the fermenters in order to contribute structure and aroma. Some fermenters added frozen Viognier skins to the bottom, some with Marsanne skins. The wine was aged for 12 months in French oak barriques, 30% new before blending and bottling. Fragrance and headiness, this wine exudes intense perfume, mixed berry fruits, floral notes and spice. The addition of Mataro and co-fermentation with white grapes Viognier and Marsanne intensify the Shiraz character while providing complexity, richness and generosity. The deliciously fresh brambles, blackberries and dried violets are what you’d first pick up on first here. You’ll later find more meaty elements, clay and dried herbs. Full body, succulent tannins, layers of blue and black fruit and a juicy, very spicy finish. Drink in 2021. A blend of shiraz, viognier and marsanne. The West most vineyard site, Underhill expresses a more savoury set of flavours. Incredibly drinkable, yet, long lived. The vines grow like triffids, pulling into balance over the growing season to produce a wine that you can hook from day 1. Be patient though it’ll age incredibly well too. Great to compare with the No.2 to see how just 100m can produce such different wines. I’ve just dropped the last of my 2001 Underhill. From a more forward year it was just divine. M’s house red! Then we shifted to 2001 No.1 as it hit the drinking window! This manages to be fresh and aromatic and somewhat decadent at the same time on the nose. There are notes of crushed violets, blackberry compote, graphite and a touch of black peppers and herbs. Medium to full body, caressing and structured tannins, delicious acid drive and a tangy yet spicy finish that’s long and enticing. Drink in 2022. This was one of the new blocks that was still finding its feet when I left YY. Undoubtedly the new Cabernet Block with the most potential. Now about 20 years old it’s hitting its straps! Varietals: 75% Cabernet, 25% Malbec. Vines: Fruit was sourced from the Agincourt block of Cabernet Sauvignon planted in 1995 and Malbec planted in 1990. The Agincourt block is located at the eastern end of the vineyard and is one of the more sheltered sites. This Cabernet clone is distinctly different to the No1 clone being more aromatic and lifted. Making: Hand harvested, crushed and destemmed into the half-tonne open fermenters. Hand plunged twice daily with some extended time on skins to soften the Cabernet tannins. Basket pressing and malolactic fermentation in French Bordeaux all 2-year-old shaped barrels for 18 months. Agincourt Cabernet consistently exhibits classic cabernet characters of cassis and dark berry fruits, along with a unique leafy herbaceousness. The Malbec plays its part with inky robust plum and black cherry and ample tannins to provide beautifully balanced structure. The purity of fruit really takes your breath away with notes of sheer currants. They’re quickly joined by darker plums, creme de cassis, quartz, baking spices, blueberries, bark, pine needles, cinnamon, leather, tobacco and underbrush. The palate sports a very impressive balance of bright blue fruits and darker plummy flavors. There is also a seriously structured, firm tannin backbone that intertwines with the seemingly ever-present acidity. A long, persistent finish. Drink in 2023.